Crows and their kin are very interesting birds, members of what may be the most intelligent avian family — the Corvidae. 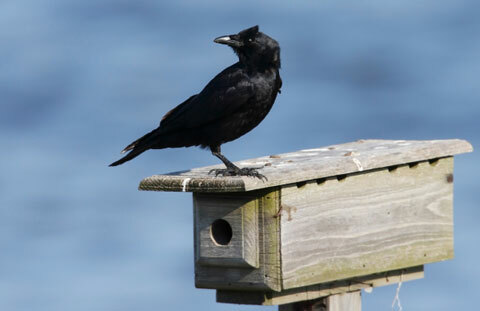 The crow’s cousins include magpies, blue jays, jackdaws, rooks, nutcrackers and ravens. Many people use the terms crow and raven interchangeably but the two birds are actually quite different. Ravens are larger than crows (on average about the size of a hawk), have a heavier bill, and a wedge-shaped tail. Crows are approximately the size of a pigeon with a fan-shaped tail. The American robin is the largest thrush in North America. 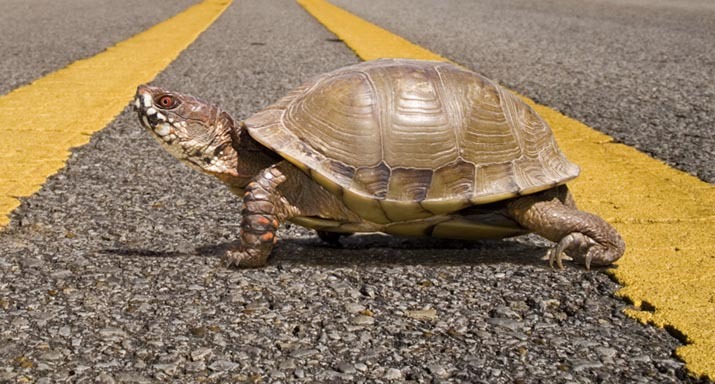 Males are not only more vocal than females, but also slightly larger and more brightly coloured. Adult American robins have grey-brown backs, characteristic reddish breasts, white bellies, white chins, yellow bills and throats with dark streaks. Juveniles have dark speckles on their backs and on their cinnamon-coloured breasts. 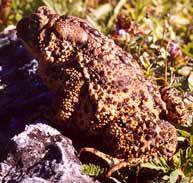 The American toad is a medium sized, squat toad which averages 5-9 cm in length. Its colour can change depending on humidity, temperature, and stress level, though it is typically brown, reddish or olive skinned with dark blotches containing one or two spots or "warts". The belly tends to be white or yellow with dark spots. 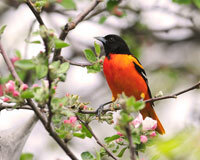 Smaller than a robin, the male oriole displays a brilliant orange breast, shoulder patch and rump contrasted with a black head, back, wings and tail. The female resembles the male, but is paler in colour, displaying a dull orange breast with a dark brown olive colour on its head and back. The male has a beautiful flute-like song, which he performs throughout the summer. The female’s song, in comparison, is shorter and simpler. While songs vary slightly from one bird to the next, they always have the recognizable “hew-li” sound. The basking shark is the second largest fish in the world, with a maximum recorded size of 12.2 m. This filter-feeder is named after its conspicuous behaviour of ‘basking’ (more accurately feeding) at the surface. 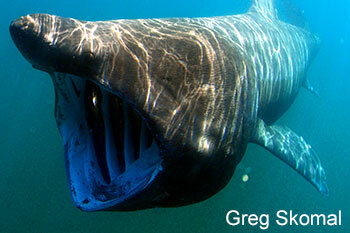 The basking shark is typically blackish to grey-brown. 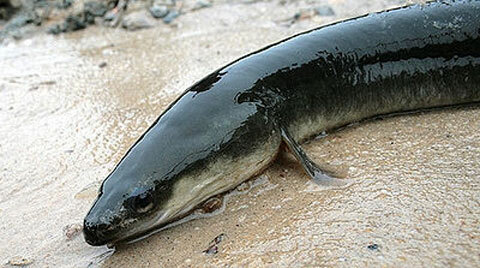 It has an extremely large mouth with minute teeth, elongated gill slits, a pointed snout, and a crescent-shaped caudal fin. Gill openings have prominent gill rakers. 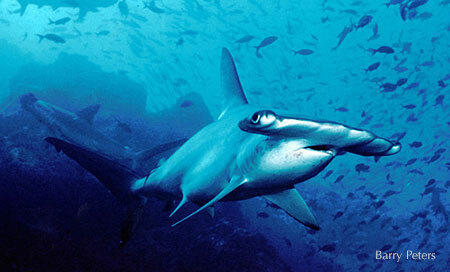 It is the only species in its family, Cetorhinidae. The earliest fossil basking shark is 29 to 35 million years old. The beaver Castor canadensis is the largest rodent in North America and the largest rodent in the world except for the capybara of South America. 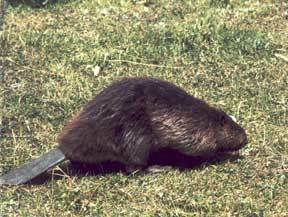 An adult weighs from 16 to 32 kg and, including its 30-cm tail, a large beaver may measure 1.3 m long. Its ancestors were even larger. In the Pleistocene ice age—the era of the mastodons and the mammoths—the giant beavers that inhabited the expanses of Eurasia and North America measured just under 3 m in length, including the tail, and probably weighed 360 kg. 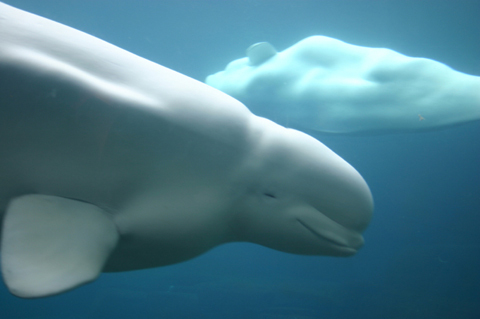 Beluga whales have stout bodies, well-defined necks and a disproportionately small head. They have thick skins, short but broad paddle-shaped flippers, and sharp teeth. Unlike other whales, the beluga doesn’t have a dorsal fin. Belugas average 3 to 5 metres in length and weigh between 500 and 1,500 kilograms. 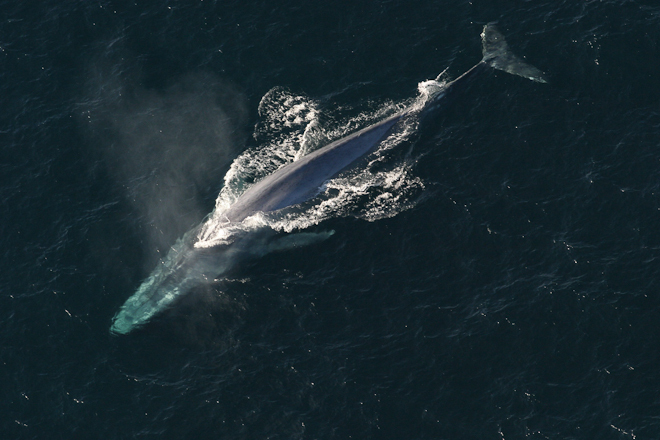 Male whales have a marked upward curve at the top of their flippers. The black bear Ursus americanus is one of the most familiar wild animals in North America today. The black bear is a bulky and thickset mammal. 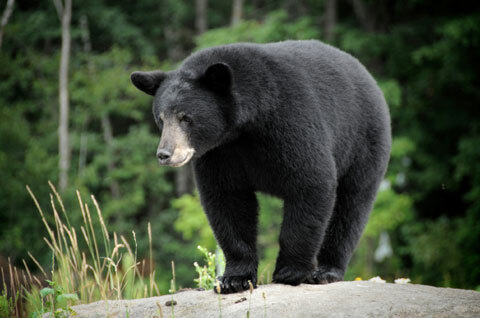 Approximately 150 cm long and with a height at the shoulder that varies from 100 to 120 cm, an adult black bear has a moderate-sized head with a rather straight facial profile and a tapered nose with long nostrils. The ears are rounded and the eyes small. The tail is very short and inconspicuous. A black bear has feet that are well furred on which it can walk. Each foot has five curved claws, which the bear cannot sheathe, or hide. These are very strong and are used for digging and tearing out roots, stumps, and old logs when searching for food. The blackness of its body and wings is embellished with two rows of yellow spots. The female’s yellow spots, while not as bold as the male’s, are adorned with a more distinctive blue band between the pale bands of yellow. In contrast, the male is garnished with more yellow tones than blue. 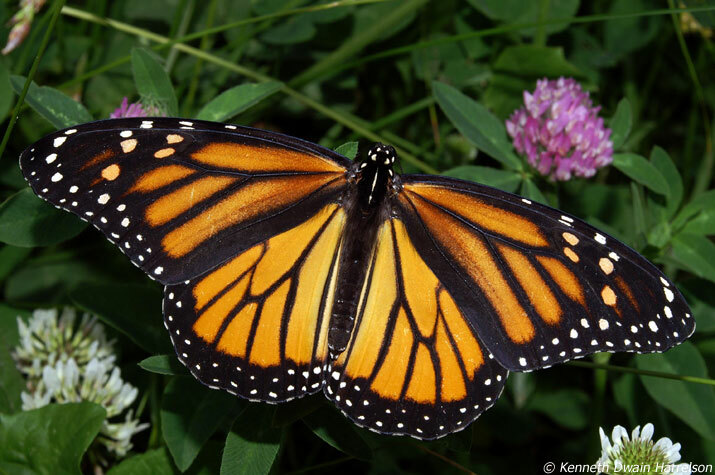 Both sexes have two prominent orange eyespots on their hind wings close to their tails. 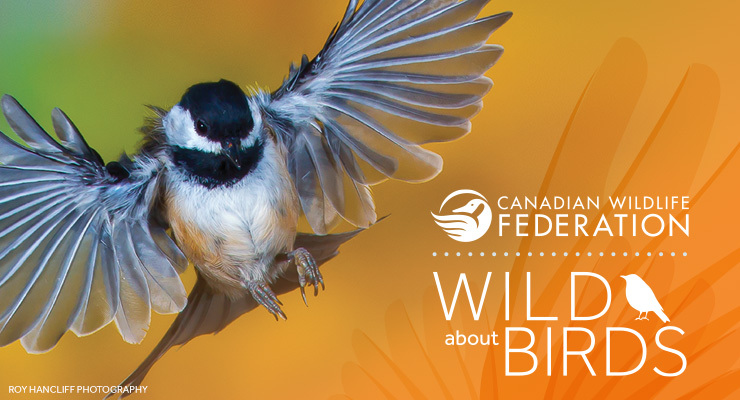 Black-capped Chickadees are small birds that measure 12 to 15 centimetres long. 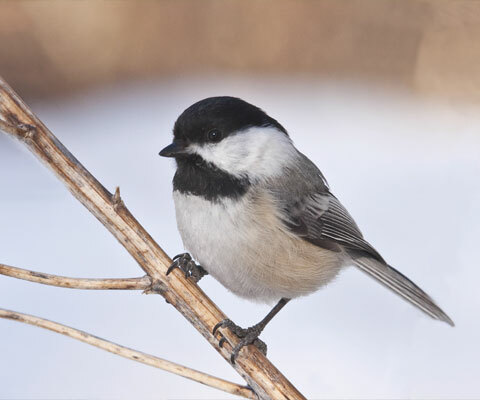 They have grey backs, a black cap that covers their eyes, white cheeks and a black triangular bib on the throat. Their stomachs are white with buff along the sides and their wings and tail are dark grey with white edging.